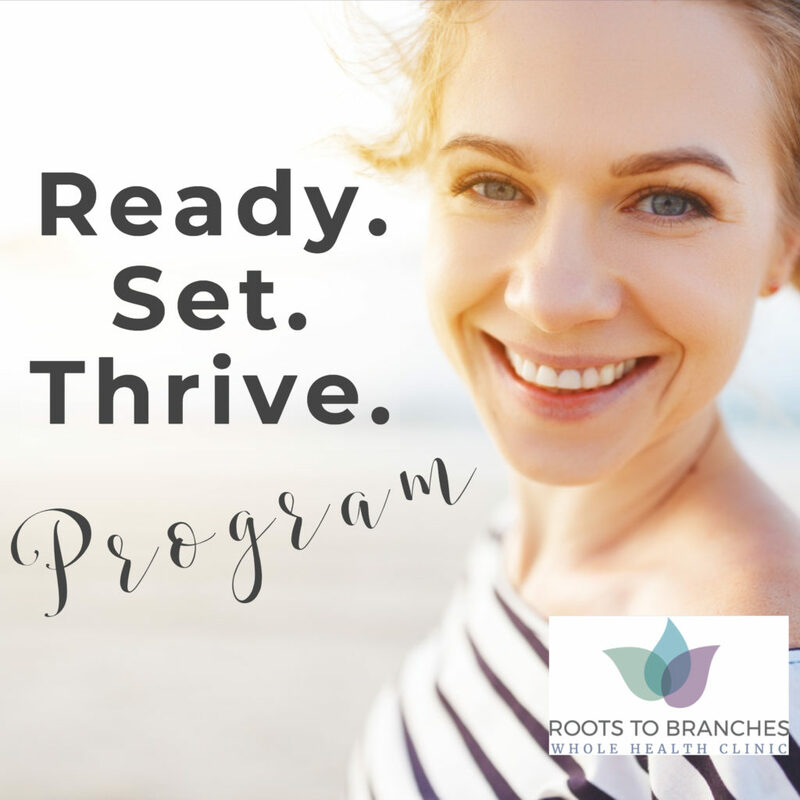 Our Ready.Set.Thrive Program is a new way of taking charge of your health. It is designed to reconnect women with their thriving selves. To thrive, is to progress toward or realize a goal despite circumstances; it is feeling energized, empowered, healthy, and happy. It is not about being perfect. You didn’t start feeling unwell overnight. Based on our clinical experience, to get to a state of thriving takes time and work. It takes commitment. We have designed a program to help you succeed! You are committed to feeling more energized, empowered, healthy, and happy. You want to be an active participant in your treatment plan and understand the root cause of your symptoms. Every session we outline how we plan to restore your health, and what outcomes to expect every step of the way. You need a targeted nutritional reset based on your individual needs to help you thrive. You want guidance and strategies to implement what we consider to be the 6 core lifestyle habits that people who are healthy and thriving prioritize more than the average person. You want natural herbal or supplement recommendations by your Naturopathic Doctor to support systems specific to your body and that help stimulate your body’s own healing abilities (ie, we are not into masking symptoms)! You want a quick fix. We see better results when people commit to lasting change. That is why we have designed a program that includes an initial visit with a Naturopathic Doctor and five follow-up strategy sessions to reconnect you with your thriving self.